Once again it's Monday and I have another great Etsy shop to share with you! I hope you enjoy my interview with Susan from the really fun shop MagnetGames. Hi! I am Susan. I am living on an island right now. Specifically, Mercer Island in the Pacific Northwest. I have also lived in the desert and in the smallest state here in the united states. I make fun for your fridge. Currently, I am solely working with perler beads. I design games for your fridge (mario, tic-tac-toe, tetris, etc.) 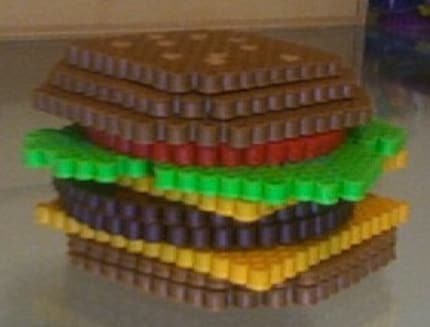 I am also kind of a nerd and as a result I make other nerdy items out of perler beads, like glasses and veggie burgers! Video games and goofy faces inspire my work. I usually spend 2-3 days designing and testing out my ideas before I come to the final product. My main goal is to make everyone's kitchen a bit more colorful. I would also like to turn your fridge into a little mini-hangout while your family is preparing dinner. I have lots of educational and conversation inspiring ideas in the works. I tutor mathematics and computer science (hopefully teaching in the fall), play with my doggies, write code, listen to post rock, and eat lots of fake meat! I had been here a few times to look around and shop and decided I wanted to try it out. I do not sell anywhere else yet -- maybe one day. I recently started this blog: http://etsytechnologyhelp.blogspot.com/ which aims at answering all your software questions related to Etsy. Hands down, my veggie burger! I am brand new! I do not have any heartfelt lessons I have learned yet. I really love all the love around here -- man it just makes me smile. I am super awesome and want to be your friend! Stop by and say Hi! 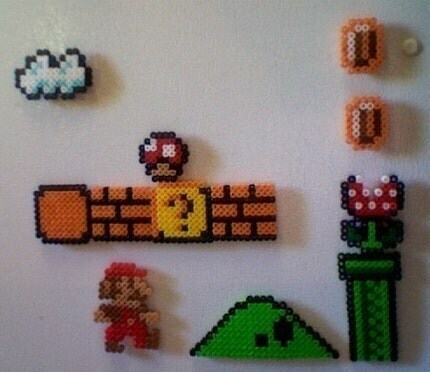 You can check out more fun for your fridge from MagnetGames at her shop. Thanks for joining me for Behind the Art Monday! Thanks to MagnetGames for use of all photos. There is also a great giveaway going on now from Etsy shop TileMeBeautiful. Enter here.